I’m not sure what the big attraction is for me concerning Route 66. I think what attracts me is the history, but what keeps me coming back are the surprises it holds. 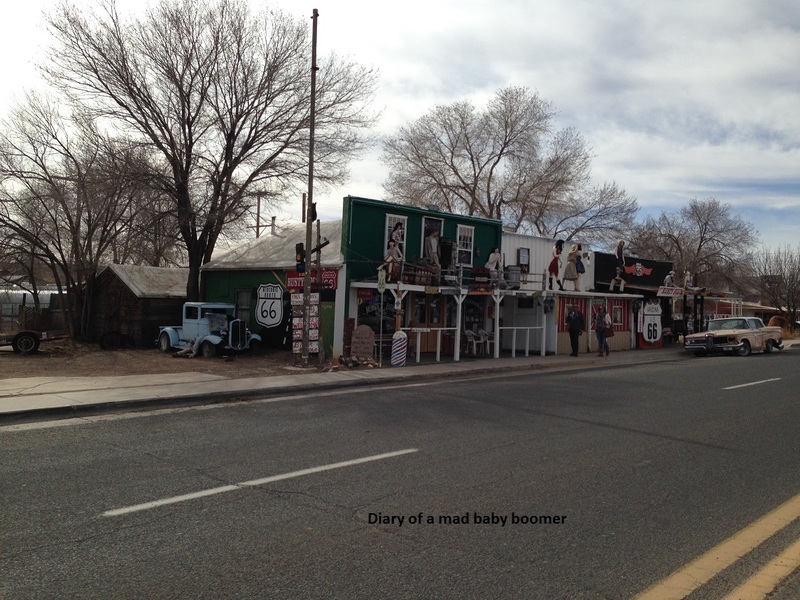 My story starts in Kingman Arizona, but I will have to do a rewind on this city as it is so full of both the history and the mystery it is a post unto itself. Our adventure today takes us right outside of Kingman on old Route 66 heading east toward Seligman, and we don’t have to wait long for the surprise. What’s that you say? 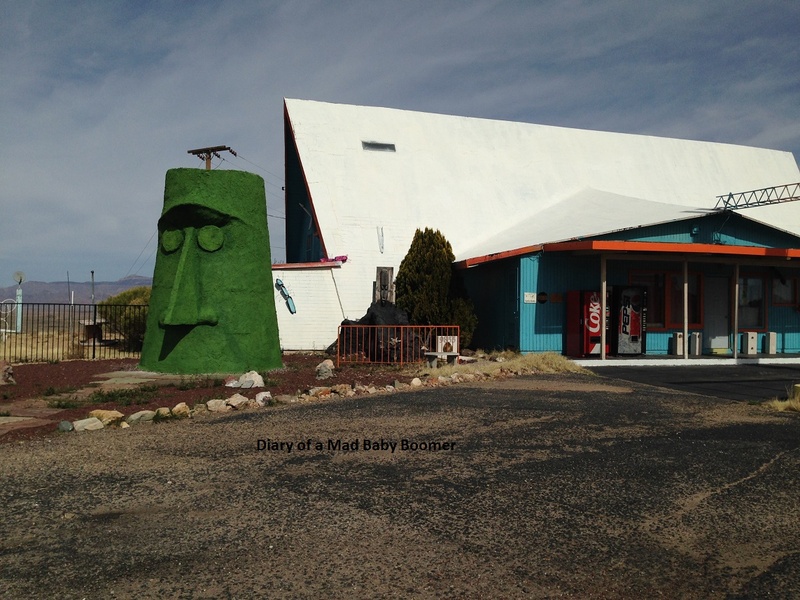 A giant green head that looks like it belongs on Easter Island, except it’s in the desert? Well of course it is, and even has a name…Giganticus Headicus. But why? Because this is Route 66. Where terms like “quirky and kitsch” describe the normal here. Where the new meets the old and becomes a delicious melting pot of unique. That’s why. Specifically with regard to Giganticus Headicus and why…the artist was asked just that and his reply was “because the place looked like it needed something like this”. The Frankenstein’s real name is Gregg Arnold, and after buying the old Kozy Court Trailer Park and relocating from New Jersey, he created his 14′ high masterpiece in 2004 out of wood, metal and stucco. 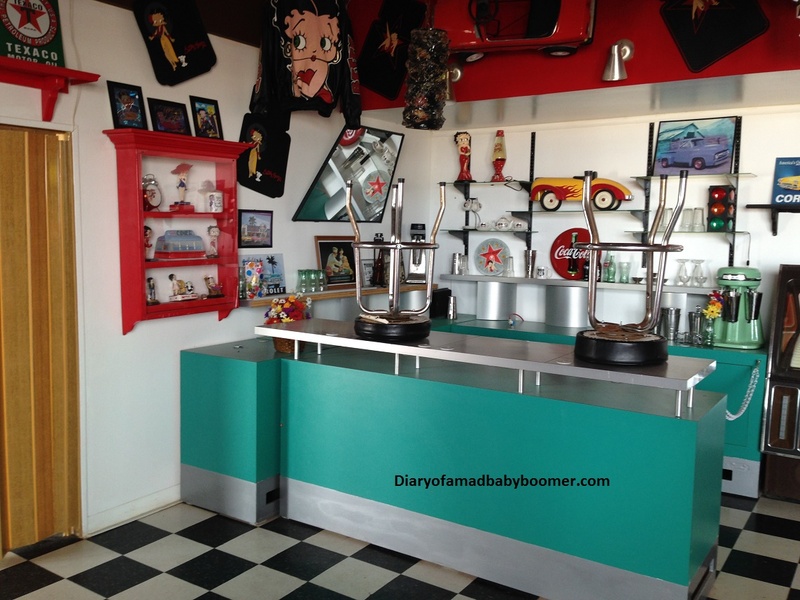 He has been remodeling the building that used to house a restaurant and store into a gift shop. Since there hasn’t been much that has changed in the last 10 years all I have to say is…Gregg knows how to pace himself! Our next stop is Valentine Arizona, population 36 on the Hualapai Indian Reservation. Truxton Canyon was renamed Valentine after Robert G. Valentine, Commissioner of Indian Affairs from 1908 to 1910. There is little more than a ghost town here now, and the large decaying building along Route 66 is what’s left of Truxton Canyon Indian School which was built to assimilate the native children into Caucasian culture (with heavy emphasis on religion). It served as a day school for the Hualapai and a boarding school for the Apache, Havasupai, Hopi, Mohave, Navajo and Papago. It closed in 1938. It’s this kind of history I am not sorry is rotting into oblivion. Valentine is full of empty buildings. The stone, cement, and wooden cadavers are the only remains after Route 66 was abandoned when the interstate opened in 1978. 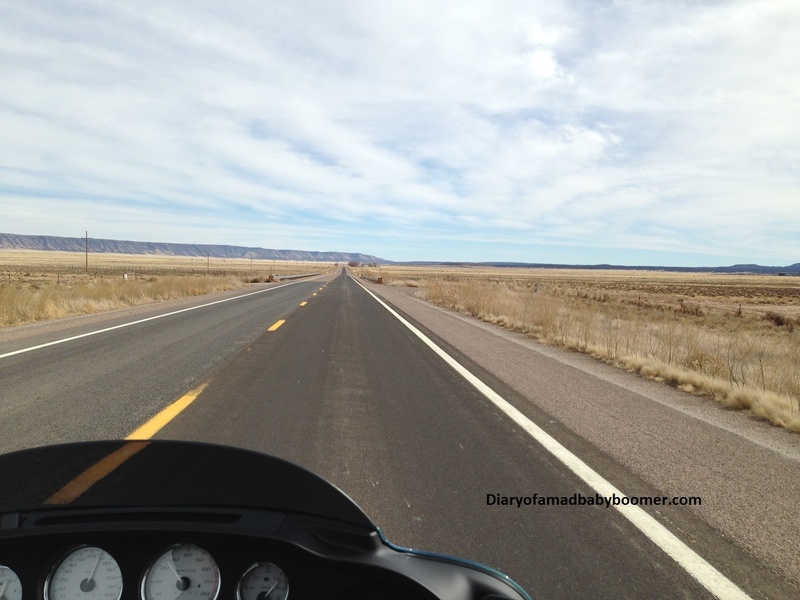 It was a quick death along this 90 mile stretch between Seligman and Kingman. A building you will not find here is the famous Valentine Post Office. After the town died, the post office was kept alive by the thousands of Valentine’s Day cards that would arrive here for the famous heart shape Valentine stamp every year around February 14th. That tradition came to a violent and bloody end on August 15, 1990 when Jacqueline Ann Grigg was working alone and Bryan Allen Buckingham of Murfreesboro, Tenn (19 yrs. old) walked in and shot her to death for a little bit of cash and 20 blank money orders. He drove away in her car. Mr. Buckingham turned himself in to authorities in Laguna Beach 2 days later. Jacqueline Grigg’s husband who owned the building that had housed the post office she operated for a dozen years was grief strickened. He bulldozed the building and left town never to return. The post office used to stand next to this abandoned building. The famous valentine postmark was retired to the Kingman post office where workers will still use the cancellation for those who know to ask for it. 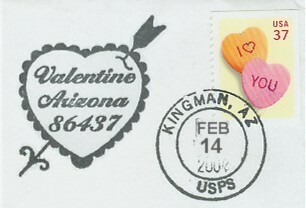 Since there is no date on the heart shaped stamp, the Kingman stamp will also be on it. The town of Valentine is a broken heart of the Mohave these days. 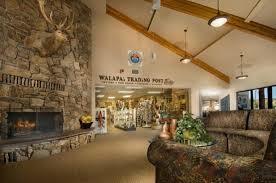 We head 8 miles down the road to Peach Spriongs, Arizona which is the tribal headquarters for the Hualapai Reservation. In the early 1880s, the railroad established a water station on these lands and called it Peach Springs, for the many peach trees found around the spring that fed their steam engines. Soon the small settlement reportedly had ten saloons but no churches or schools. Later it would also boast a roundhouse, several shops, a stagecoach line, and a Fred Harvey Restaurant. 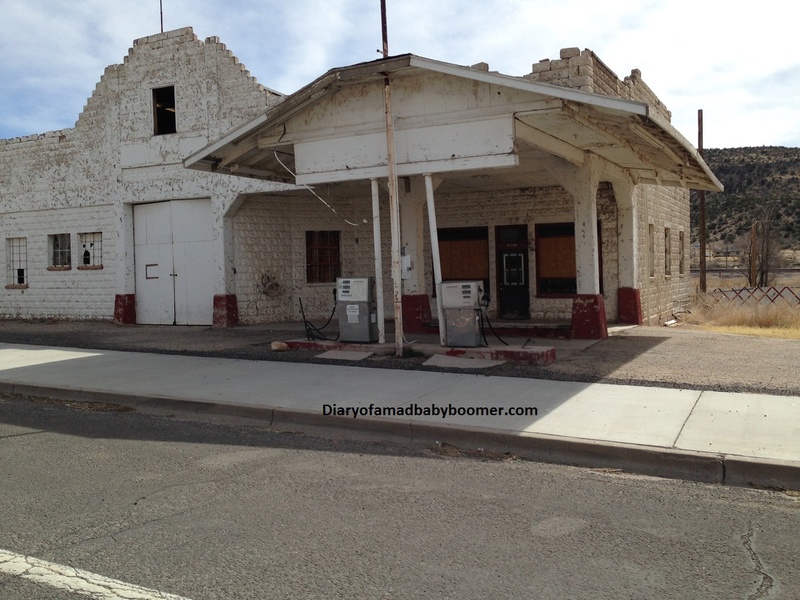 Nothing is left of note to this history is evident on Route 66 now. 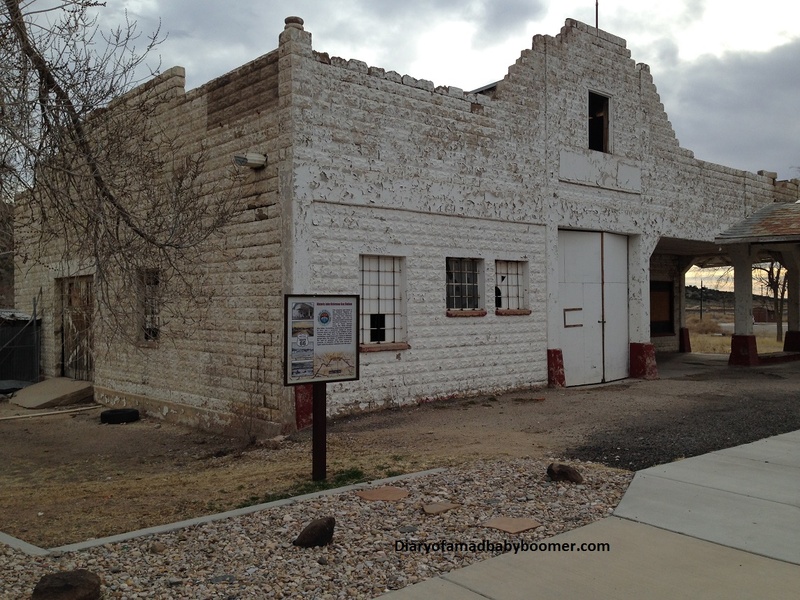 Before we arrive at the Hualapai Lodge however, there is the crumbling historic Osterman Shell Station which was most recently put on the National Register of Historic Places. For a closer look, give these a click. Built in 1932 by Oscar or John Ostermann (depending on who you talk to) to accommodate the increasing number of Oklahomans traveling this road to California because of the “dust bowl” conditions in the plains during the depression (migration peaked in 1937 – 1938). I can’t help but feel the terrible desperation folks must have had to pack up their meager belongings on 4 wheels and head to parts unknown because they had lost their farms or were dependent on the farms for their living. Those less fortunate lost their lives. 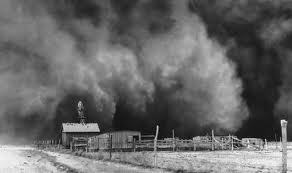 I lost an infant aunt and uncle to these dust storms in Oklahoma, my Grandparents chose to stick it out. I ended up in California for different and more modern reasons (my parents divorce). And the black ol’ dust storm filled the sky. Over the mountains, out towards the old Peach Bowl. How many desperate Okies and Arkies stopped by this station in hopes of replacing a flat tire or broken spring with the little bit of money they had left? 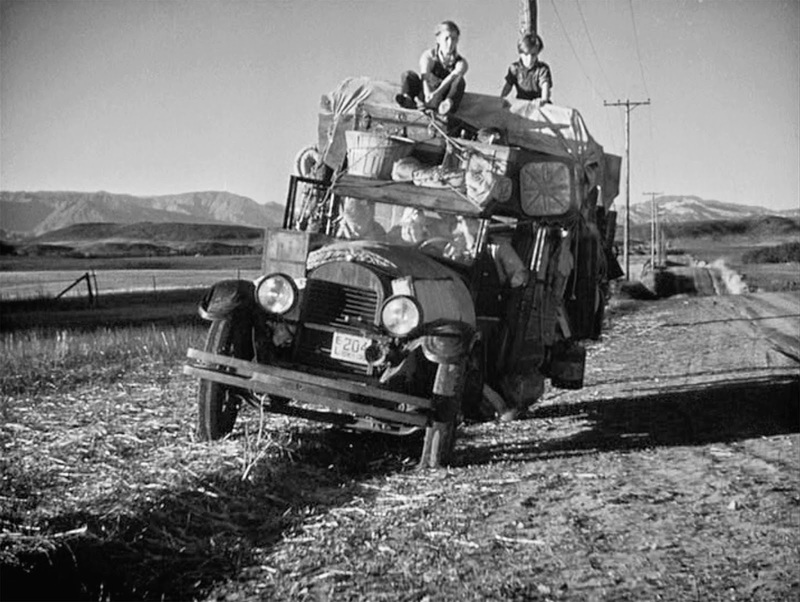 The Grapes of Wrath immortalized the plight of these people who were met in California with prejudice, poverty, and hopelessness. 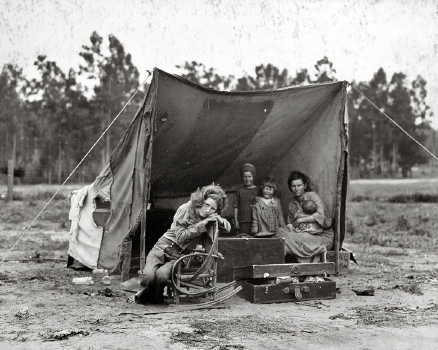 They had no money to go home and made due in migrant tent cities created to accommodate the arriving hoards who increased California’s population by 20% in that era. 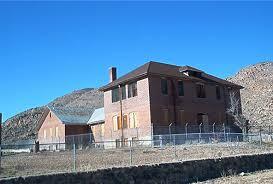 The Hualapai Tribe (the current owners) was given a grant to restore it in recent years. I have to call out that they also know how to pace themselves. It hasn’t been touched. Things don’t happen in a hurry in these parts that’s for sure. The Hualapai Lodge is lovely and modern. It is the primary starting point for travelers looking to explore the raw Grand Canyon West landscape via white water rafting, off-road touring, hiking, fishing, hunting and more. The Hualapai Lodge is the gateway to the breathtaking drive on the only road leading to the bottom of the Grand Canyon. Please note that a permit from the Hualapai is needed to drive on the road into the bottom of the Grand Canyon. 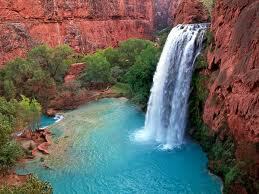 I shall return since seeing Havasu Falls (located in Grand Canyon West on the Reservation) is on my bucket list. Can you blame me? On down the road just a few miles is a little place we found long ago when returning from the Grand Canyon. It’s called the Grand Canyon Caverns and has changed a bit since we were there last. Well sort of. These caverns are not in the Grand Canyon but air comes into the caverns from the Grand Canyon through 60 miles of limestone caves, thus the name Grand Canyon Caverns. The temperature is a constant 56 degrees Fahrenheit and the humidity is only 2%. 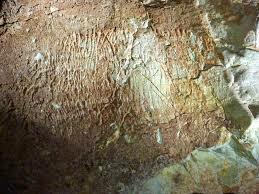 Because of this, there is no living thing, either animal or vegetable in the caverns. Not even insects. Germs are virtually non existent. Bacteria brought in by humans does not survive because there is no food chain. This is a fascinating place and a must see, I am so glad we did. The Grand Canyon Cavern system is the largest dry cavern system in the United States and possibly in the world. Funny story from our tour about 10 years ago. We arrived and were the only car in the parking lot, and after entering the gift shop and check-in desk for the Caverns tour we decided we wanted to see it. We paid for the next tour which was set in about 30 minutes and set about browsing the shop. Nobody else ever came in. When the time came for our tour we moved back over by the check-in desk so we would be ready to embark. The attendant (about 3 ft away from us) that had taken our money and given us our tickets got on the PA system and announced to the empty store that the tour was about to begin and would all ticket holders please assemble and form a line. We still laugh about that. Gotta love somebody who takes their job serious eh? During the 1963 Cuban Missile Crisis, the U.S. Government deployed enough water and food rations to the Caverns to support up to 2,000 people for up to 2 weeks. 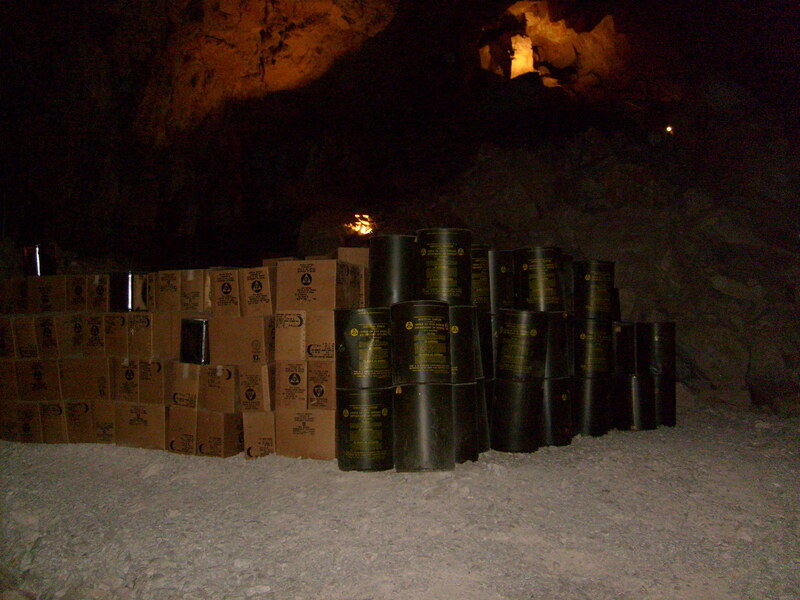 These supplies remain today and can be seen by all visitors who tour the caverns. Because of the constant cool temperature and lack of humidity, these supplies are still as good as the day they were put here 50 years ago. Another testament to it’s ability to freeze it’s contents in time is the discovery of the remains of a giant ground sloth. This giant and extinct ground sloth lived during the Age of Mammals when the woolly mammoth and saber tooth cat lived more than 11,000 years ago. The study of the remains indicate it stood over 15 feet (4.6 m) tall and weighed near 2,000 pounds. The claw marks it made trying to get back out of the hole it fell into are still perfectly preserved 11,000 years later. 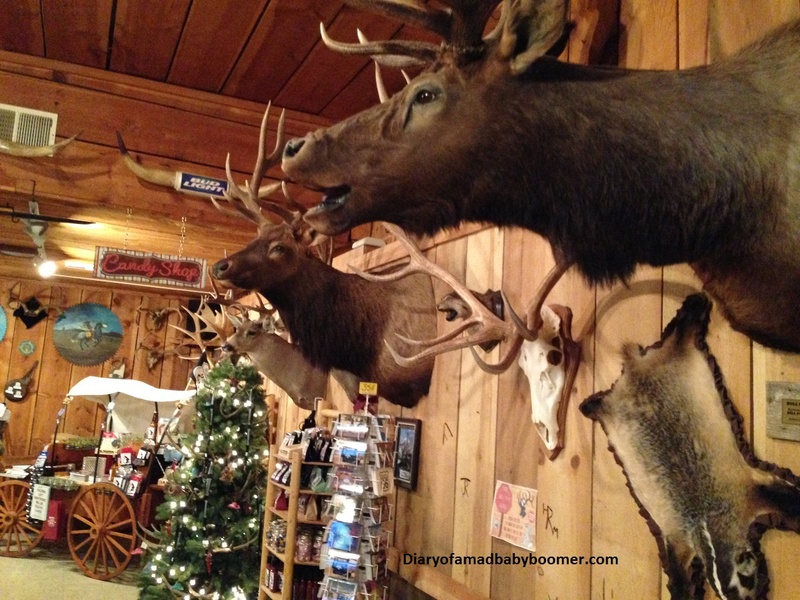 The tour is well worth the fee and I would do it again in a heartbeat, but this time I was more amazed by the transformation the Grand Canyon Caverns Inn had taken since our last trip out here a decade earlier. Clearly they were trying to capitalize in the Disney movie “Cars” and their similarity (historically anyway) to the demise of the Route 66 of old. I had to get a closer look. 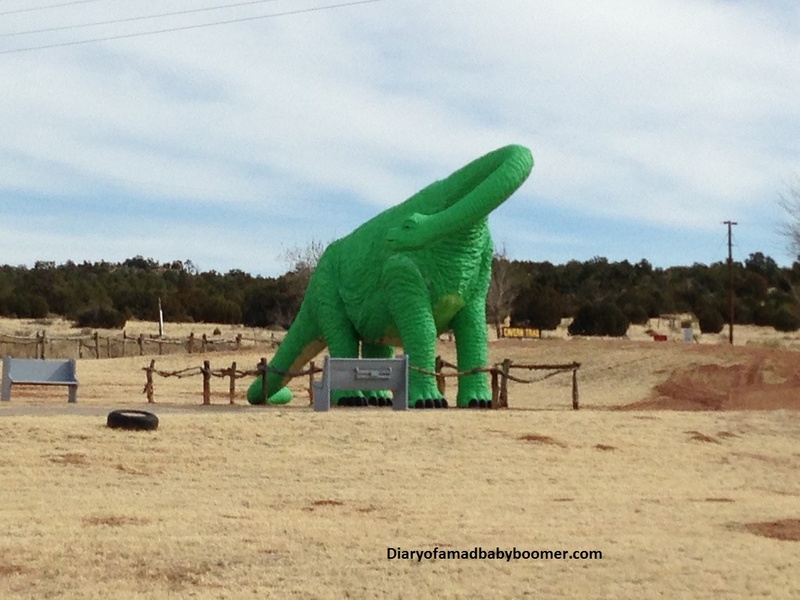 The dinosaur was there before. Route 66 kitsch remember? We had never been inside so how could I not check it out after this very blatant leech on Route 66 fame? Gosh how I love it. The Grand Canyon Caverns Inn is lost in time. 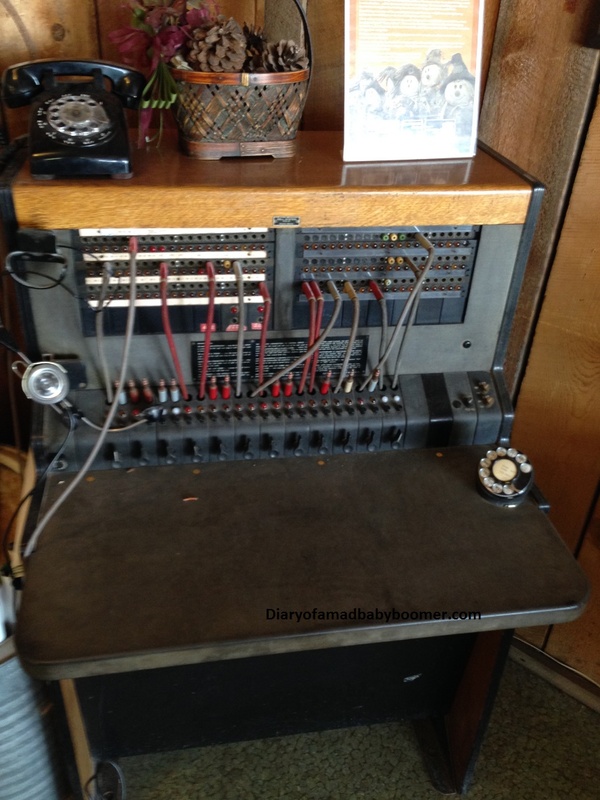 An old switchboard sits at the check-in desk. The café was closed (evidently February is not considered tourist season, though I would beg to differ since the summer is too HOT for us boomers). 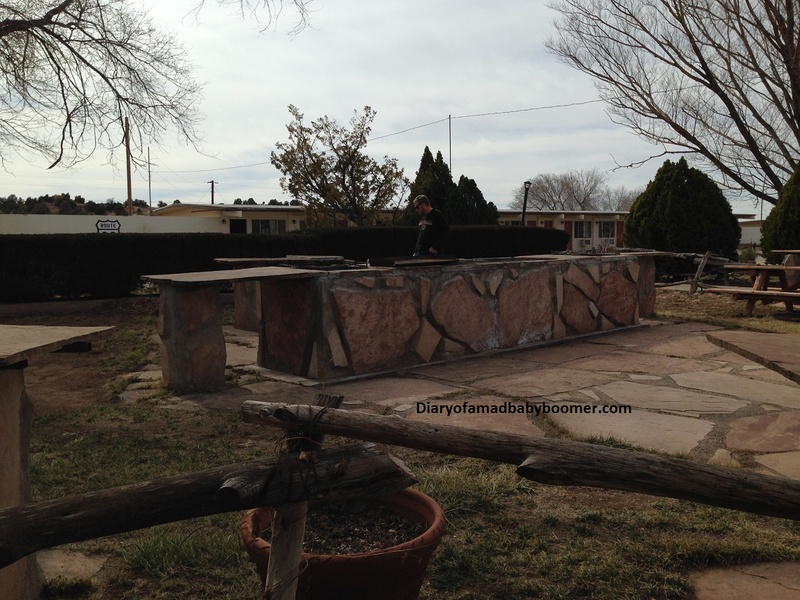 But like as with most places along Route 66 we were free to roam the sites as we wished. 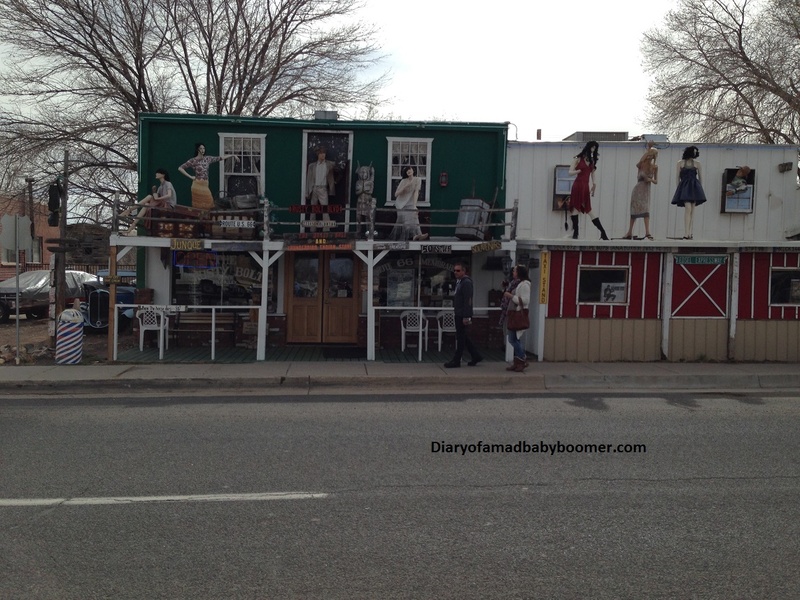 The back patio was not updated to attract customers off of the road and I would have to guess 50’s or 60’s here. My hubby is a serious backyard BBQ guy so he had to inspect the grill accomodations while I sat and drank a soda from the gift shop. It was flat. Probably a couple of years old. I drank it anyway. 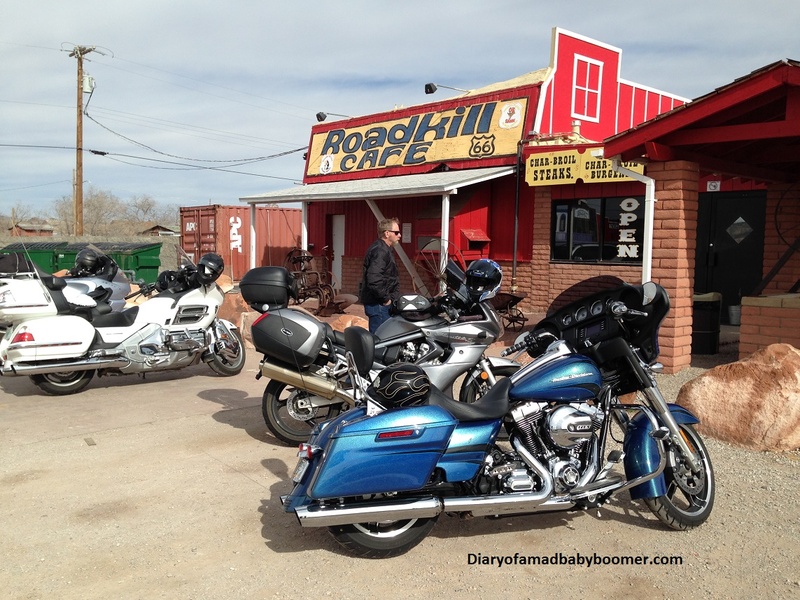 We bid our farewell to Grand Canyon Caverns and climbed onto the bike for the ride into Seligman. I had never been there so was looking forward to the visit. The road was empty as we made our way. I’m good with it. 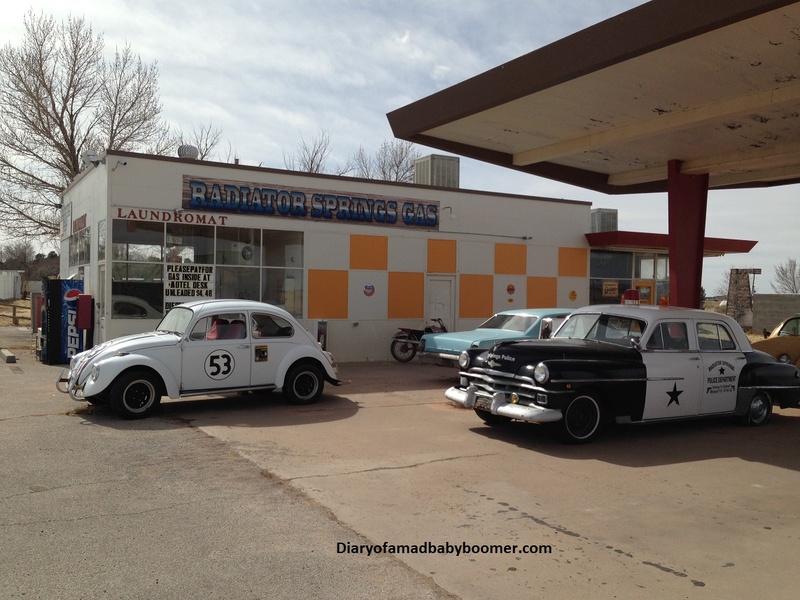 We pulled into Seligman and into the first gas station to fill our tank before finding a place for lunch. We sat behind a Shelby Mustang and a new Camaro SS rented by two young friends to travel Route 66 and then on to Vegas. One was from Ireland and the other from Scotland. 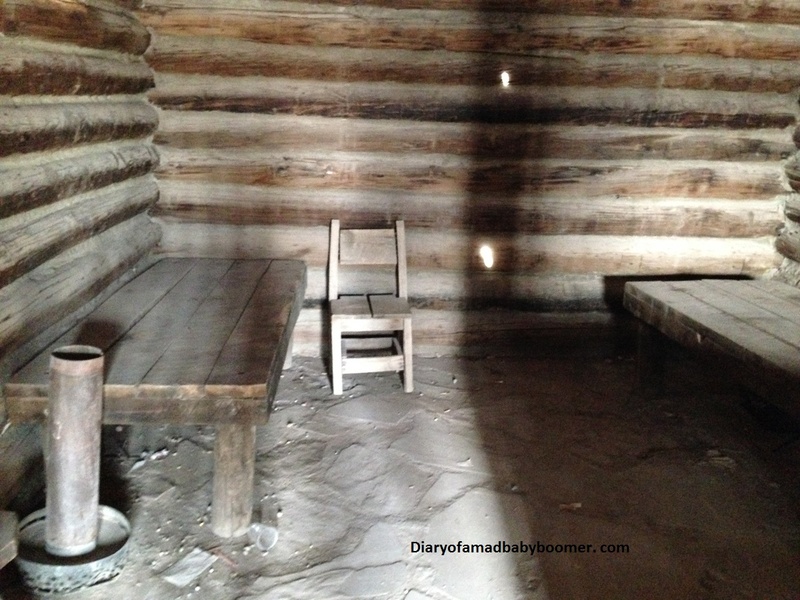 I pointed them to my favorite Ghost Town along the way (the topic of a future post). 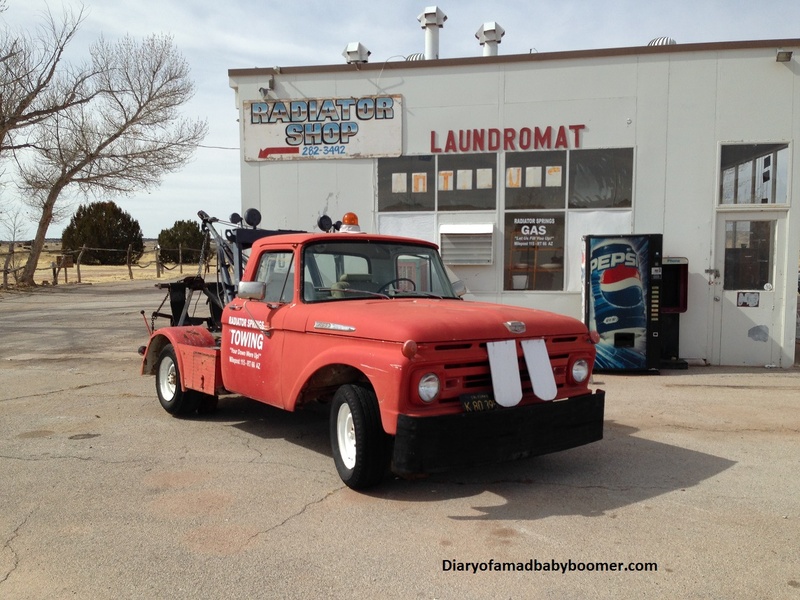 They were satisfying their own bucket lists by living the Route 66 dream. I discovered later that they had indeed visited my friends in Chloride. Seligman is a wild little town of 456 people! Seligman founded in 1895 and the birthplace of Historic Route 66, is a small, unincorporated town named after a banker of the Santa Fe Railroad. 1987, the State of Arizona dedicated old U.S. Route 66 from Seligman to Kingman as Historic Route 66, due to the efforts of the Seligman Chamber of Commerce. The dedication will assure the preservation of the longest remaining stretch of old Route 66 left in the United States. 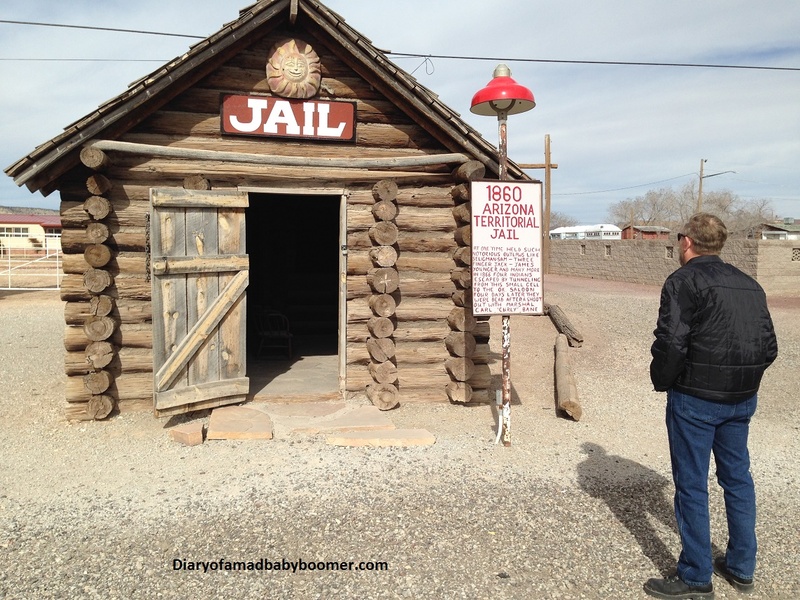 1860 Arizona Territorial JailAt one time held such notorious outlaws as Seligman Slim, Three Finger Jack, Jim Younger, and many, many more. 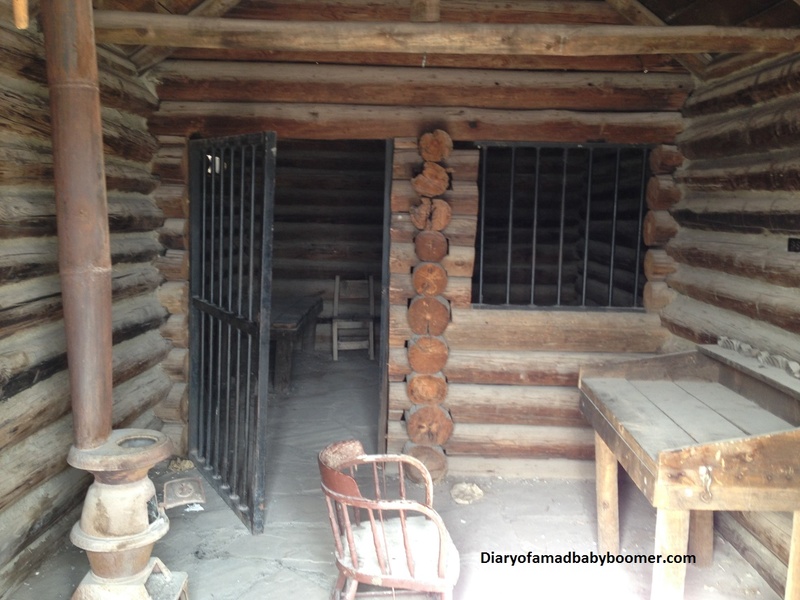 In 1866, four Navajo Indians made a successful escape by tunneling from this small cell to the basement of the O.K. Saloon. Four days later they were recaptured after a blazing gun “battle” with Marshall Carl “Curly” Bane. This is my very own Wyatt Earp admiring the accommodations from afar. We parked our pretty blue steed alongside others (who ended up being from Canada, they store their bikes in Vegas and fly down here whenever they can to ride Route 66 and enjoy the weather, they were on their way to the Grand Canyon this day and then on into the Texas panhandle) at the Roadkill Café 66 and went inside to enjoy the fare and wet our whistle for the ride back. I certainly hoped these guys weren’t on the menu. Creepy. Across the street at the Rusty Bolt and Thunderbird Indian Store is a big surprise and possibly my all time favorite Route 66 display. Honestly…does it get any better than this? And with that I leave you dear diary, I hope you had as much fun reading it as I did writing it. Until next time.